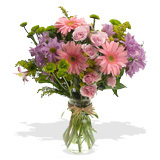 $65 - $80 Best Sellers Flowers To make choosing your special bouquet easy, we have put together bouquets of our customer's favorite flowers. So if you don't know where to start, have a look at our best selling flowers, and you are sure to get inspiration from this marvelous selection of flower bouquets. Not only do we have an extensive range of best selling bouquets to choose from, they are also sorted by price to suit every budget. What ever you fancy, rose flower bouquets, tulip flower bouquets, or lily bouquets we have it all.